U2 and HBO have rescheduled the concert telecast that was postponed in the wake of the Paris terrorist attacks earlier this month. U2's performances will take place at the Accorhotels Arena on December 6 and 7, and the second show will be broadcast by HBO the evening of December 7. The concert and TV special are part of the band's ongoing "Innocence and Experience" tour. The special was originally scheduled for November 14, but after the attacks in Paris, the band postponed the show. 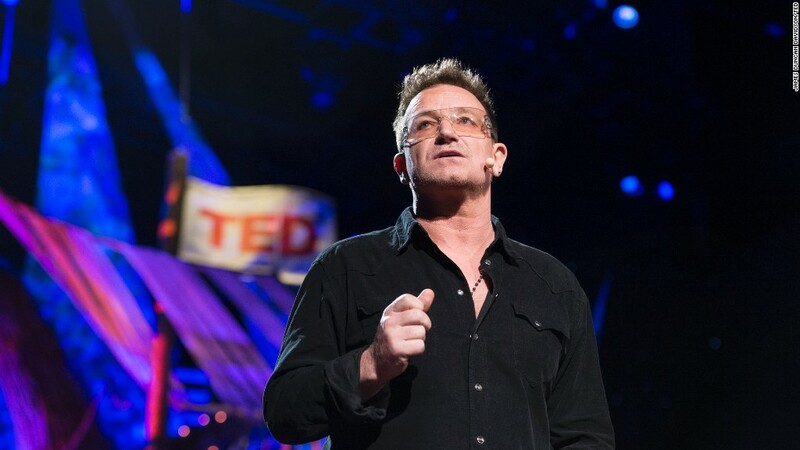 "We're going to put on our best for Paris," Bono said in a statement on Monday. "So much that was taken from Paris on the tragic night of November 13th is irreplaceable," he said. "For one night, the killers took lives, took music, took peace of mind -- but they couldn't steal the spirit of that city. It's a spirit our band knows well and will try to serve when we return for the postponed shows on December 6th and 7th." The band is currently on the Dublin leg of the tour. Promoter and producer Arthur Fogel told The Irish Examiner, "The band wanted us to reschedule as soon as possible so that they could honour the commitment to their audience." The HBO documentary "Very Semi-Serious: A Partially Thorough Portrait of New Yorker Cartoonists" was scheduled to air on December 7; HBO hasn't confirmed a new air date yet. HBO and CNN are both owned by Time Warner.